Browse insecticides suppliers by country and region. Purier Outdoor Guard Purier Outdoor Guard blocks mosquitoes and various insect pests which cause various infectious diseases. Purier Outdoor Guard is certified by the KFDA. Purier Outdoor Guard can be used by pregnant women and babies who are over 6 months. Purier Outdoor Guard PRO is a safe insect repellent made from natural plant raw materials without using chemicals. 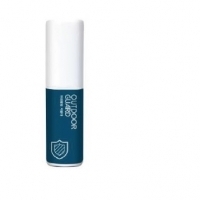 Purier Outdoor Guard PRO inculd mild ingrdienr, so it is less irritating to the skin. Tierra Overseas is manufacturer and supplier of Bacillus megaterium (Phosphate Solubilizing Bacteria) Importance of Phosphorous An adequate supply of phosphorus during early phases of plant development is important for laying down the primordia of plant reproductive parts. It plays significant role in increasing root ramification and strength thereby imparting vitality and disease resistance capacity to plant. It also helps in seed formation and in early maturation of crops like cereals and legumes. Poor availability or deficiency of phosphorus (P) markedly reduces plant size and growth. Phosphorus accounts about 0.2 - 0.8% of the plant dry weight. Symptoms of Phosphorous Deficiency * The plants are usually dark bluish-green in color with leaves and stem becoming purplish. The degree of purple is influenced by the genetic makeup of the plant, with some hybrids showing much greater discoloration than others. The purplish colour is due to accumulation of sugars that favours the synthesis of anthocyanin (a purplish-colored pigment), which occurs in the leaves of the plant. * The principal mechanism for mineral phosphate solubilization is the production of organic acids; acid phosphatases play a major role in the mineralization of organic phosphorous in soil. The use of phosphate solubilizing bacteria as inoculant simultaneously increases P uptake by the plant and crop yield. * Tierra Overseas is manufacturer and exporter of high quality Bacillus Megaterium (Phosphate Solubilising Bacteria) in India. Mode of Action * The use of phosphate solubilizing bacteria as inoculant simultaneously increases P uptake by the plant and crop yield. * Benefits of Bacillus megaterium - Lowers pH of the soil in high pH land. - Enhances chelation of the cations bound to P. - Forms soluble complexes with metal ions associated with insoluble P (Ca, Al, Fe) and thus P is released. - Organic acids produced can either directly dissolve the mineral P as a result of anion exchange of phosphate by acid anion or can chelate Fe, Al and Ca ions associated with P. - Increases resistance to disease and drought tolerance. - Reduces the requirement of phosphate fertilizer by up to 25% initially. - Can be used for Seed, Seedling, Sett and Plantation crop treatment. * Eco-Friendly - Extremely safe to mammals, human beings, animals, natural parasites, predators, non target insects, fishes, birds, etc. * Method of Use - Mix recommended quantity of the product with well decomposed farm yard manure or farm soil and broadcast during the last ploughing or sowing followed by irrigation. An evening time is ideal for broadcasting this product. In case of liquid formulation, shake the bottle well before use. Once a bottle is opened the entire content is to be used at once. This product should not be mixed with any antibacterial agent or any chemical fertilizer. Tierra Overseas is manufacturer and supplier of high quality Frateuria aurentia (Potash Mobilizing Bacteria) KMB in India. Potassium (K) is very essential for plant growth and is usually found abundant in soil. Total K (Potassium) content in soil ranges between 3,000 to 100,000 kg/ha in the upper 0.2 mt of the soil profile. Of this total K content 98% remains bound in the mineral form whereas 2% is in soil solution and exchangeable phases. Importance of Potassium in Plants * Potassium plays a vital role in the formation of amino acids and proteins from ammonium ions, which are absorbed by roots from the soil. * It is also responsible for the transfer of carbohydrates, proteins etc. from the leaves to the roots. * It plays a vital role in the uptake of other elements like nitrogen, phosphorous and calcium. * It increases the hydration of protoplasm. * It activates number of enzymes and its deficiency decreases photosynthesis. * Potassium increases the resistance of crops to hot and dry conditions and to insect pests and diseases. * It improves the quality of fruits and grains. Mode of Action * Mobilizes fixed Potash to available form for crops. 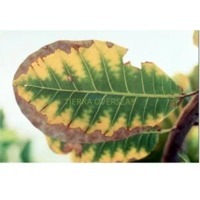 Benefits of Frateuria aurentia * Reduce cost of potash application by up to 50% initially. * Improves resistance of crop plants. * Suitable to a wide range of soil pH and temperature. * Suitable to apply to all crops. * Improves crop growth and yield by up to 20%. * Compatible with other beneficial microbes in the rhizosphere. * Encourages soil health and soil fertility. * Secretes growth hormones to increase crop productivity. * Benefits the next crop also due to its residual effect. Eco-Friendly * The product is extremely safe and non-toxic to human beings, plants, animals, birds, fishes and all other non target organisms. Contains no phytotoxicity and exempted from residue analysis. Method of Use * Mix recommended quantity of the product with well decomposed farm yard manure or farm soil and broadcast during the last ploughing or sowing followed by irrigation. An evening time is ideal for broadcasting this product. In case of liquid formulation, shake the bottle well before use. Once a bottle is opened the entire content is to be used at once. This product should not be mixed with any antibacterial agent or any chemical fertilizer. Mode of Action The Bt toxin gets dissolved in the insect gut having high pH and thus becomes active. The gut cells of the insect are attacked by these toxins which punch holes in the lining. The Bt spores germinate in the insect and spill out of the gut causing death of the insect. Though the insect doesn’t get killed by the toxins immediately, the treated portion of the plant doesn’t get damaged as the insect stops feeding within hours of the product application. Benefits of Bt Effective against all lepidopteran caterpillars including semi looper caterpillar. Eco-Friendly Extremely safe to mammals, human beings, animals, natural parasites, predators, non target insects, fishes, birds, etc. Classified as Class – IV, low hazardous (green label) pesticide. No phytotoxicity and exempted from residue analysis. Method of Use Shake the bottle well before use. Once a bottle is opened the entire content is to be used at once. This product should not be mixed with any antibacterial agent. Short on time? Let insecticides sellers contact you. Kilsecpo Aerosol Insecticide free (Detergent / Scissor). 1) One Stop For Importer & Wholesaler 2) Full Con Or LCL shipment to Africa Payment Terms: L/C, T/T, Western Union. Water filter, air filter, rutf therapeutic food, fertilizer & insecticide, body armor, traps & bait stations, thermal foggers, appliance parts, advanced carbon, refrigerator filter. CAS No:161050-58-4 Mode of action: It belongs to the diacylhydrazine class of insecticides and has a novel mode of action that mimics the action of the molting hormone of lepidopterous (moths, butterflies) larvae. Upon ingestion, larval stages of the order lepidoptera undergo an incomplete and developmentally lethal premature molt. This process interrupts and rapidly halts their feeding. Feeding typically ceases within hours of ingestion, although complete mortality of the larvae may take several days. It can control eggs, larvae and reduces adult fertility. 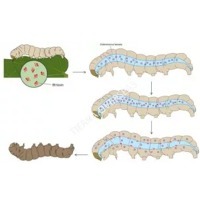 Uses: It is selective to larvae of Lepidoptera, including navel orangeworm, peach twig borer, leafrollers, loopers, armyworms and citrus leafminers, performing an optimal control without affecting bees, all beneficial insects (predators and parasitoids) and arachnids. Products containing methoxyfenozide are globally registered for use on a wide range of crops including cotton, soybeans, rice, apples, grapes, almonds, cherries, leafy vegetables, broccoli, tomatoes, and numberous other fruit, nut, and vegetable crops. Ovicidal efficacy has been noted for certain species such as Lobesia botrana, Cydia pomonella, Choristoneura rosaceana. Formulation types: Methoxyfenozide 98% TC, Methoxyfenozide 240g/L SC. Cas no: 148477-71-8 Mode of action: Contact insecticides. It mainly stops the fat synthesis of mites, blocking mites energy metabolism. It is effective on each growth stage of mites, including the eggs. Uses: Spirodiclofen is a broad spectrum acaricide which can be used to orange, grape, eggplant, pimiento, and tomato, specially against to all the spider. Control of mite pests such as panonychus spp., phyllocoptruta spp., brevipalpus spp., and aculus and tetranychus species, at 50-200 g/1000 l. For use in citrus, pome fruit, stone fruit, grapes and nuts. Formulation types: Spirodiclofen 98%tc, Spirodiclofen 240g/l sc. Cas no: 120068-37-3 Mode of action: Broad-spectrum insecticide active by contact and ingestion. It disrupts the insect central nervous system by interfering with the gamma-aminobutyric acid (gaba) - regulated chlorine channel. It is systemic in plants. Uses: Fipronil can be used as seed treatment at the time of planting to control soil pests, be applied in-furrow or as narrow band. It requires thorough incorporation into soil. Granular formulation can be used in broadcast applications to paddy rice. As a foliar treatment, fipronil has both preventative and curative activity. Control of multiple species of thrips on a broad range of crops. Control of corn rootworm, wireworms and termites by soil treatment in maize. Control of boll weevil and plant bugs on cotton, diamond-back moth on crucifers, colorado potato beetle on potatoes by foliar application. Control of stem borers, leaf miners, planthoppers, leaf folder or rollers and weevils in rice. Foliar application rates is about 200g a.I./ha Fipronil 0.05% bait gel as cockroach-killer in interior environment: apply 0.5-1g/m2 product directly in the pest sites of cracks or corner of the wall and ground. Formulation types: Fipronil 95-99% tc, Fipronil 80% wdg, Fipronil 250/200/100/50g/l sc, Fipronil 0.05% gel(10g/tube, 30g/tube). Common name: prohexadione calcium IUPAC name: calcium 1-(4-carboxy-2,6-dioxocyclohexylidene)propan-1-olate CAS No: 127277-53-6 Mode of action: Plantgrowthregulator, inhibitor ofdioxygenaseenzymes and GA biosynthesis, used primarily in fruit trees to suppressexcessivevegetativegrowth andtoinhibitdiseaseincidence. Uses: Shorten the stem elongation of many plants, control the section ends growth, thicken stems, shorten plant height and prevent lodging. It has significant performance of lodging and dwarfing on rice, barley, wheat, Japanese carpet grass, ryegrass, etc. It can promote fertility, help lateral bud growth and rooting. 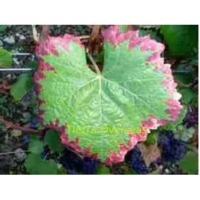 It can also keep the leaves dark green and upright, control the flowering time and improve fruit setting and ripening. Besides, Prohexadione Calcium increases plant defense response under hard conditions of disease, cold and drought so that reduces the phytotoxicity caused by herbicides and improve output. Formulation types: ProhexadioneCalcium 90% TC, ProhexadioneCalcium 10% WP If you are interested in our product of Prohexadione Calcium, please contact us(Shanghai Profirst Co., Ltd.). Packing: 10ML-200L for liquid formulations, 1G-25KG for solid formulations. Beijing Kingbo Biotech Co., Ltd.